I was able to get an appointment on fairly short notice. They also have early, late, and Saturday hours, which wasone of the reasons why I chose this dentist. Everyone was friendly and explained to me exactly what we needed to do. Great first time experience. I was able to get an appointment on fairly short notice. They also have early, late, and Saturday hours, which was one of the reasons why I chose this dentist. Everyonewas friendly and explained to me exactly what we needed to do. Great first time experience. The staff were very friendly and helpful. Dr. was very good and encouraged communication. They were clear about costs anddid not try to upsell you services. The staff were very friendly and helpful. Dr. was very good and encouraged communication. They were clear about costs and did not try to upsell you services. 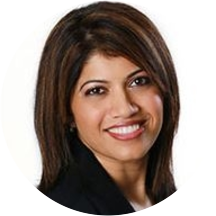 Dr. Kavitha Gowda, a top dentist in Everett, WA has been dedicated to dentistry for more than 17 years. “The best thing in her life is putting a smile on the patients face!” Dr.Gowda has an outstanding chair side manner and focuses on giving you an exceptional treatment to obtain a healthy mouth through preventative services. Dean’s Award for Academic Achievement and Student Clinical Award from the American Board of Endodontics. I’m glad to have her treat me. The staff was very professional. The cleanliness was superb. All of my concerns and questions were addressed. I was on a time limit and they were able to accommodate my request. I highly recommend this location! My daughter liked the approach of the treatment. She was very pleased with the cleaning. She is very sweet and professional. I felt welcomed and comfortable with her. Dr. Gowda was nothing less than amazing! They way the staff works together is efficient. Dr. Gowda does not try to pressure you into getting cosmetic work done but gives you a plan based on getting your teeth in good conditionand then what it would cost for things down the line, if the patient would like to have those procedures. Best experience with a dentist office I have ever had. The entire staff was warm and welcoming! Explained the issues very clearly and advised for a cleaning. The cleaning procedure was also performed with care and explained all tooth precautions to be followed daily. The admin staff was also very clear and overall its a pleasant experience. Thank you. She was very professional and made me trust her right away. She didn't make me feel like I was stupid for waiting so long to go to a dentist. Very professional and cheerful office. Dr. Gowda was equally professional and cheerful. The office attendant was thorough in making sure I utilized my insurance correctly. Very happy with the service. Extremely professional and courteous staff! Appointment went as scheduled. Nice staff and a lot of smiles. Highly recommended. Very pleasant experience. Very thorough exam. Friendly, attentive staff. Reasonable prices. Finally found someone I can say I trust. I will be returning for more visits as I have her complete my complex dental procedures. It has been a long time since my last dental visit out of fear and anxiety. Dr. Gowda was so nice and really put me at ease. I'm actually looking forward to my next visit! Also, very clean office and friendly, professional staff. I love going in to see her she is a very nice dentist and is always concerned about how you are doingthru out the whole time you are in the chair! She was very nice. Since I'm someone who does not like the dentist she made it very comfortable and enjoyable. Everything was great! Nice clean facility, staff were friendly, ontime, super easy to schedule, gave me a detailed upfront quote for work needed.